Adm. Karl Schultz, commandant of the U.S. Coast Guard, said the military branch will award a contract to build the first vessel of its heavy polar icebreaker fleet in the spring, National Defense Magazine reported Thursday. 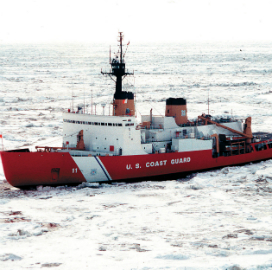 The $11.34B USCG budget proposed by the White House for fiscal 2019 includes $35 million to fund design work on new Polar Security Cutters and another $15 million to maintain the existing Polar Star icebreaker. Schultz told audience during his State of the Coast Guard address on Thursday that the service plans to buy three large PSCs. 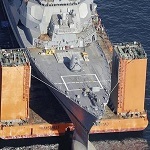 The cost of each vessel could reach $1 billion, according to the publication. USCG issued a request for proposal for the advance procurement and detail design of the heavy polar icebreaker variant last year. The branch conducted a full and open competition for the contract.